The young and dynamic Zeine Ould Zeidane seeks to use his position as Prime Minister to develop a new way of governance in Mauritania. He wants a results-driven culture. 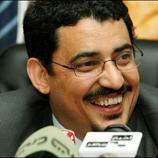 Born in 1966 in Tamchekett, Zeidane studied and taught at the universities of Nouakchott and Nice. He started for the World bank in 2000 and was posted as the Governor of the Central Bank of Mauritania. Zeidane was one of the few officials unmoved by the 2005 coup. He eventually left the bank post in 2007 to pursue the presidency as the youngest candidate. Zeidane was able to earn third place in the election as an independent. Soon after those elections, he was named Prime Minister for President Sidi Ould Cheikh Abdallahi.